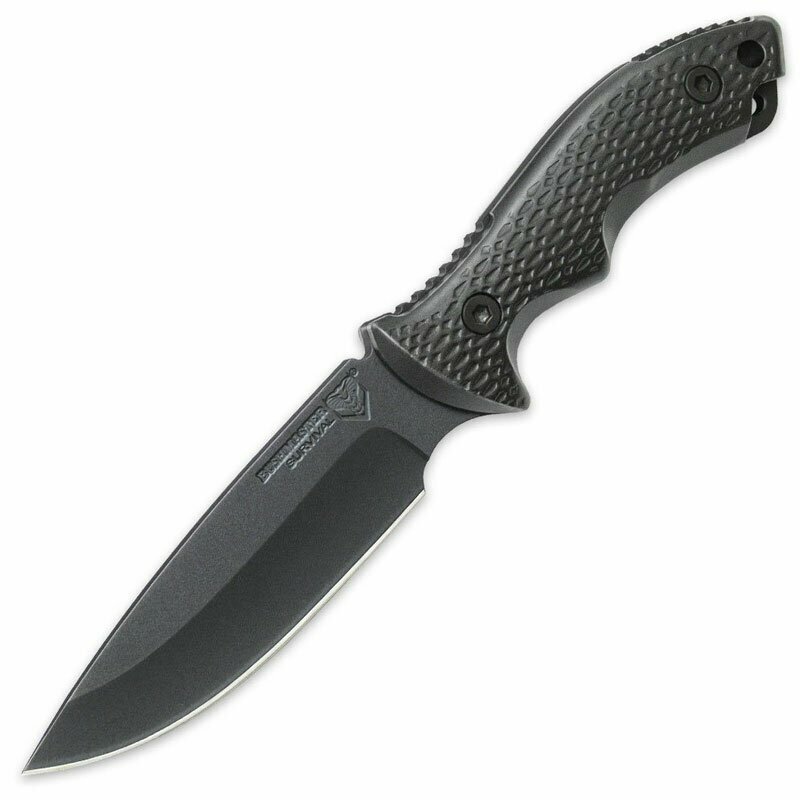 United Cutlery Bushmaster Bushcraft Tactical Field Knife(UC3165) Knives, throwing knives, fantasy knives, movie knives, tactical knives, hunting knives, etc. Bushmaster will always have you covered in any situation whether you’re braving the Amazon jungle or the hunting trail! The Bushcraft Tactical Field Knife is a 1095 high carbon steel-bladed survival knife that will take any abuse that’s thrown at it. The 5 5/16” blade has a tough powder coat and the textured handle is fiberglass filled, injection molded nylon. A heavy-duty, reinforced belt sheath houses this fixed-blade. When you go out in the wild, you better have a Bushmaster!